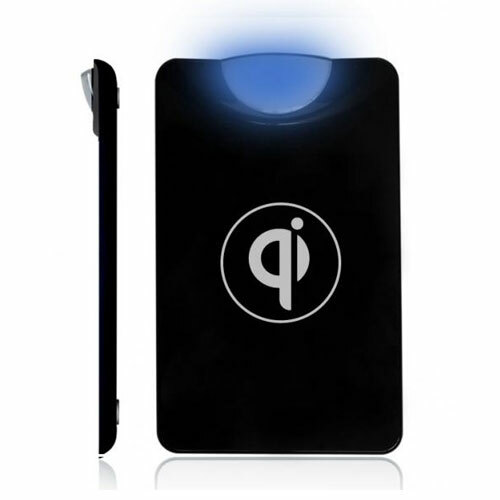 This Qi tabletop charging pad is designed to work with your Qi enabled device. Wireless Qi charging capabilities are already built in to certain phones such as the Google Nexus 4 and the Nokia Lumia 920. If you have a Samsung Galaxy S3, we offer a back plate that replaces your current battery cover and adds Qi technology to your phone. The iPhone 4 and iPhone 4S require a protective case that adds Qi charging technology. This pad will allow you to drop your Qi enabled device on top and wirelessly charge. That's it; no cables, no extra adapters, just drop it on and let it charge. * Power adapter from the wall to the pad is included. I liked this product so well that I placed a second order to have one to give as a gift and to have another to use at my office. I now have one at home and one at work. It works great I just lay my phone on the pad, the light comes on to assure me that it is positioned correctly. Since it just a pad to lay my phone on there is no more leaving in the morning with a dead phone because I forgot to plug it in and charge it during the night. This is incredible! If you use your phone for business and you're constantly plugging it in at the office and unplugging to leave the office, this is the device for you! Bought a second one for home!